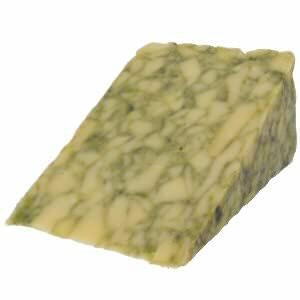 Sage Derby is a cheddar type gourmet cheese made using leaf sage for flavor, and colored using chlorophyll (plant coloring) to give a green marbled finish. The finely chopped sage leaf gives a subtle extra flavor. 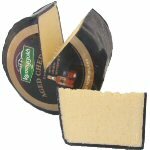 Sage Derby is matured for around 12 weeks as per mild cheddar. In the seventeenth century, the custom of adding sage to Derby cheese began. Sage was valued for its health-giving properties; it was good for the digestion and thus Sage Derby was born. Sage Derby was originally consumed at harvest time and Christmas. 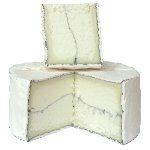 Sage Derby, one of the oldest British gourmet cheeses and one of the original additive cheeses; is unique with the sage being added during the manufacturing process and not at a later stage. Certainly an interesting and colorful addition to any festive cheese board or buffet. 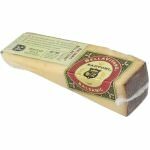 We cut and wrap this colorful cheese in wedges of 8 ounces and 1 pound. Ingredients: Pasteurized cow's milk, salt, sage, dairy cultures, spinach powder, clotting enzymes.